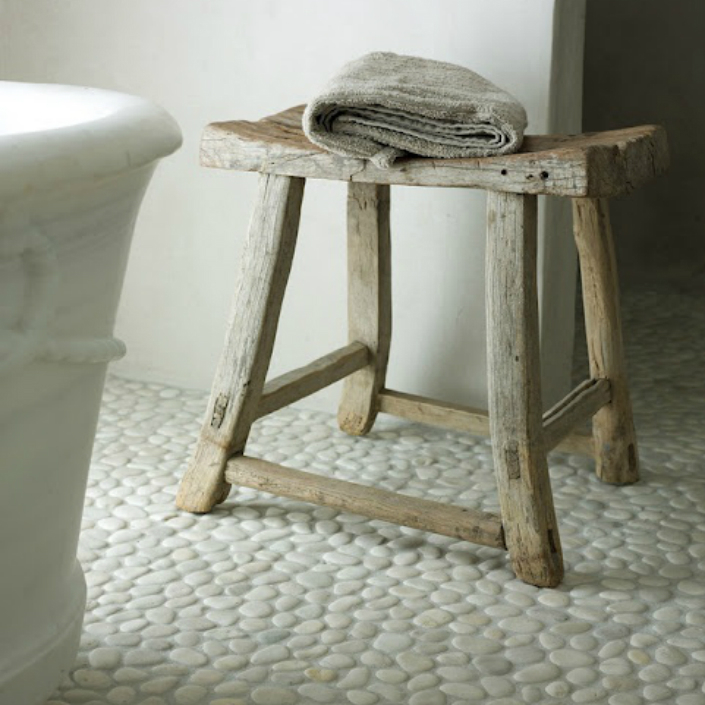 There is probably nothing more suitable for a cottage bathroom than natural stone tiles. 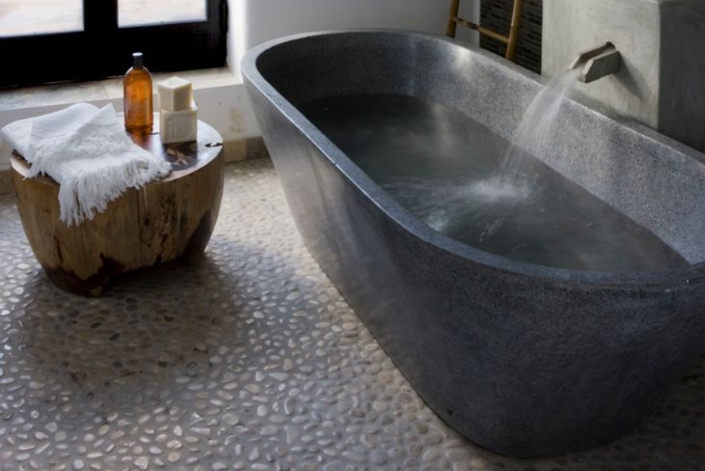 The trick is choosing the right ones – some irregular, rough-edged tiles or pebble stones for the floor or walls could definitely transform the room into the bathing enclave of your dreams. 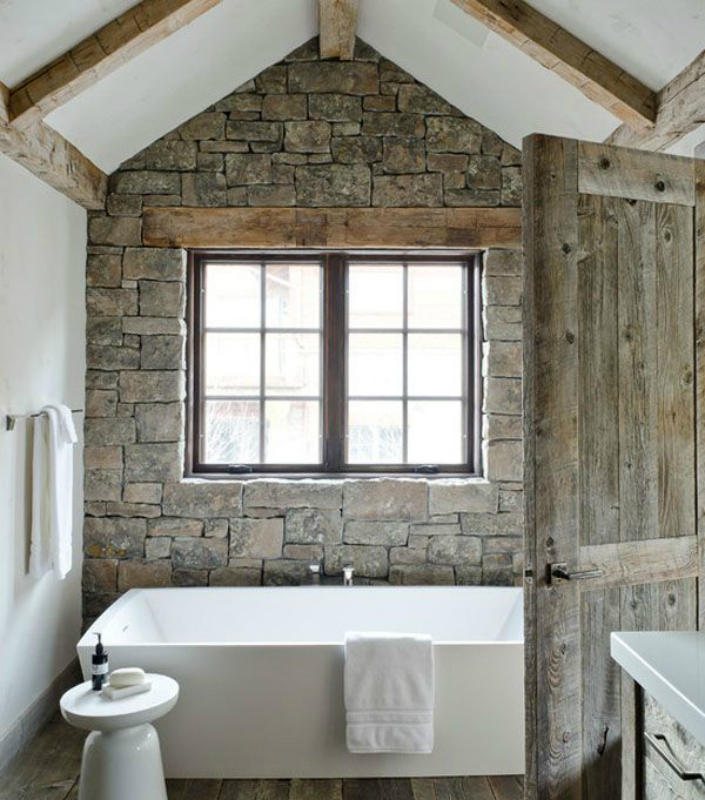 In this design situation we recommend using limestone or pebblestone – both unpretentious and aging in truly rustic style. 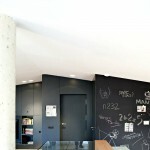 Achieving a great rustic style certainly requires using some raw – or even aged – wood. 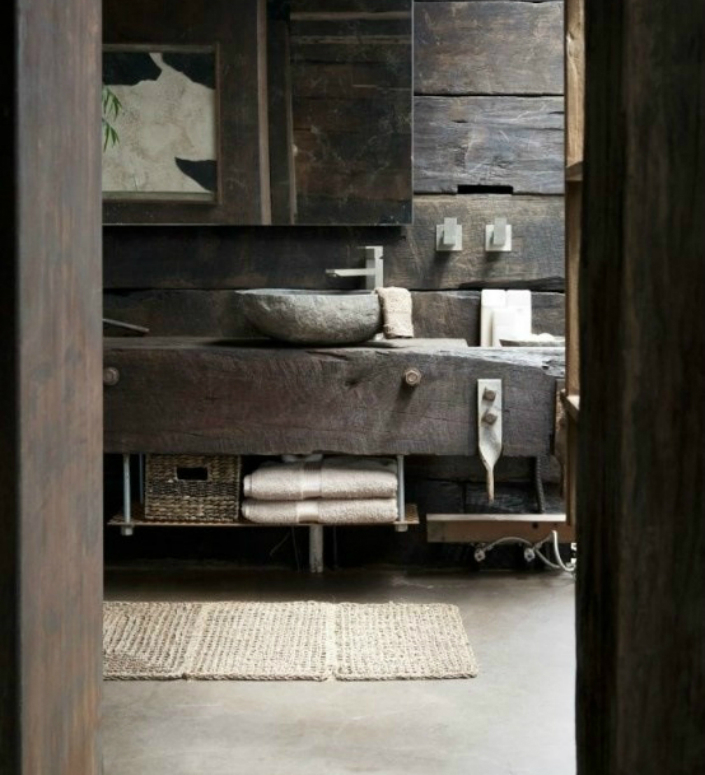 Your rustic interior could also benefit from some more use of natural materials – like linen or copper. 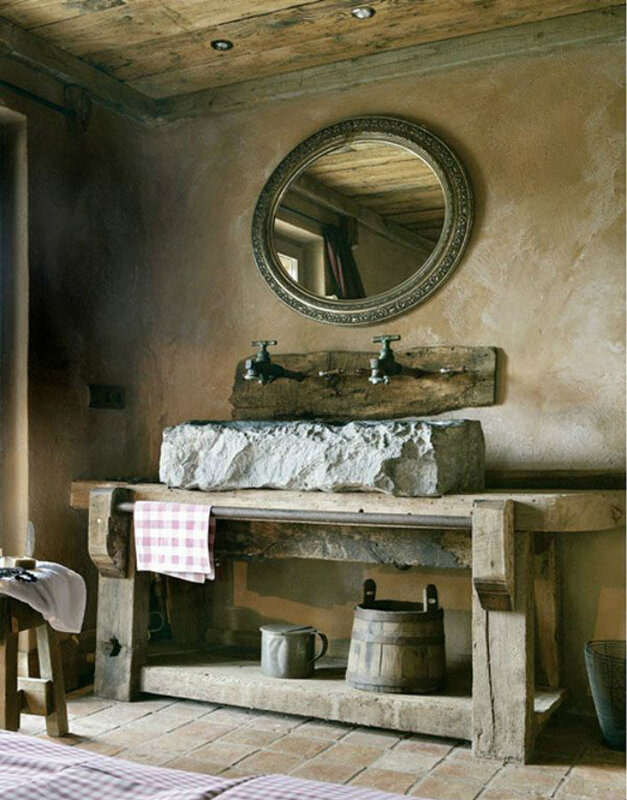 As you can see using some natural stone can create that unique, blissfull atmosphere that you’ve been looking for while deciding to decorate your bathroom in a rustic style. 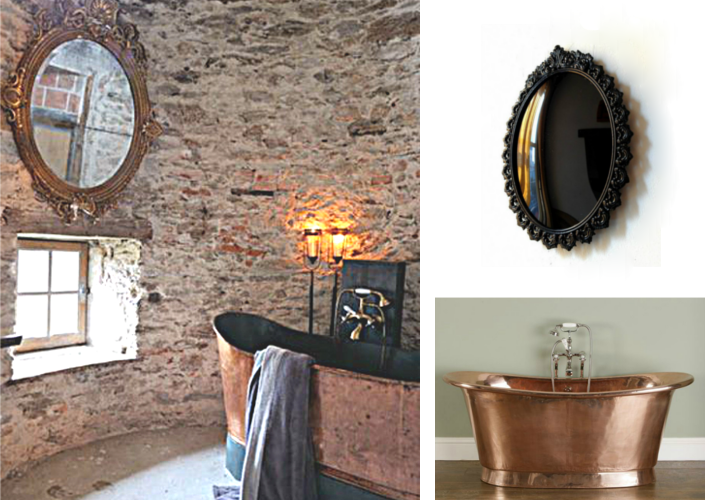 Follow the HOME INSPIRATION IDEAS blog to get more tips on natural stone bathroom design and interior design in various styles that will be published soon.